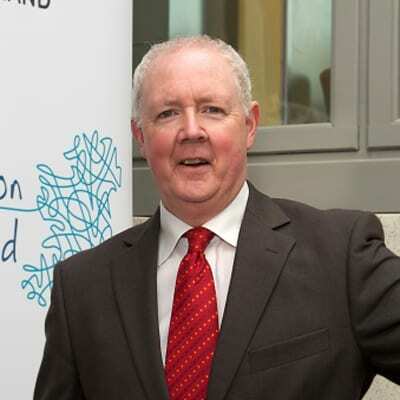 Barry Egan is Director – West Region at Enterprise Ireland, covering counties Galway, Mayo and Roscommon. He has a background in marketing and previously worked with the Beecham Group in Ireland and in Australia as well as a variety of other roles within Enterprise Ireland. As local Director, Barry is actively involved in the running of the New Frontiers Entrepreneur Development Programme in his area. This includes promoting the programme throughout the year, as well as chairing the evaluation panel which selects participants for Phase 2. With 12-14 early stage entrepreneurs on Phase 2 of the programme at any given time, Barry and his team provide a range of inputs and supports to these entrepreneurs – business development advice, mentoring, access to the market research centre, and introductions to collaborators and financing opportunities. As Director – West Region, Barry’s wider remit is to lead Enterprise Ireland’s activities in the region. His vision is that Irish enterprise will become a powerhouse of economic growth. Increasing the number of HPSUs (High Potential Start Ups) is a key goal, as is increasing the number of new exporters and new innovators. A major area of focus is his involvement in Action Plan for Jobs in the West Region. We provide a lot of support to the New Frontiers participants, making sure that the entrepreneurs who are on the programme can maximise and accelerate as much as possible. We make sure they have the introductions and access they need – be it directly from Enterprise Ireland or the Local Enterprise Office. We put a lot of energy into supporting their business plans and encouraging them to scale.